Athens is one of the least green cities of Europe, however Athens Anaplasis SA has been created to undertake the design, the organising process and the implementation of an extensive plan for its beautification. The 25-year plan for the remodelling of the city has an emphasis on the renovation of the city centre, especially the “commercial triangle” – the capital’s central retail district. The purpose is to improve everyday life for the residents and visitors of these areas, promoting social cohesion and financial development. Athens Anaplasis’ President and CEO is Dr Nikos Belavilas, architect and Associate Professor of urban planning and urban history at the NTUA School of Architecture. Its board of directors, advisory board and scientific committee feature multiple esteemed architects, urban planners, civil engineers, archaeologists and academics. According to President and CEO Nikos Belavilas, Athens Anaplasis S.A. is not meant to replace or undermine the work of the Municipality of Athens or the Attica Region, but instead to function as a useful instrument to help coordinate metropolitan regeneration plans. Speaking to Athens daily Kathimerini newspaper, Belavilas pointed out that city planning must have an outlook of 15 to 20 years, while local government and ministries make decisions based on a “term-of-office” time frame. The company has undertaken several ambitious projects, including the reuse of Alexandras Ave residential blocks (prosfygika), the regeneration of the complex of the Polytechnic School and the Archaeological Museum, the extension of the pedestrian streets in order to link the city’s “long archaeological walk” with Akadimia Platonos (furthering the unification of the archaeological sites of Athens), the upgrade of Pireos Street, Theatrou Square and Syngrou Avenue, the restoration of the Lycabettus Hill theatre and the Special Spatial Plan for the New Centre of Athens. There are eight residential blocks on Alexandras Avenue, known as prosfygika (from the word prosfygas, refugee), constructed between 1933 and 1936, to serve as social housing for Asia Minor refugees. They consist of 228 apartments in total of approximately 50sqm each. The buildings having designated as monuments in 2003 (two of them) and 2009 (the remaining six). Athens Anaplasis’ aim is to renovate and restore the facades and common areas (stairways, roof decks) of all eight buildings and the apartments belonging to the Region of Attica, in order to provide subsidised housing as well as spaces for a museum of “Asia Minor memory”. The economic crisis has brought rapid changes to the city’s urban fabric, and the centre of Athens is subject to various other sources of pressure. 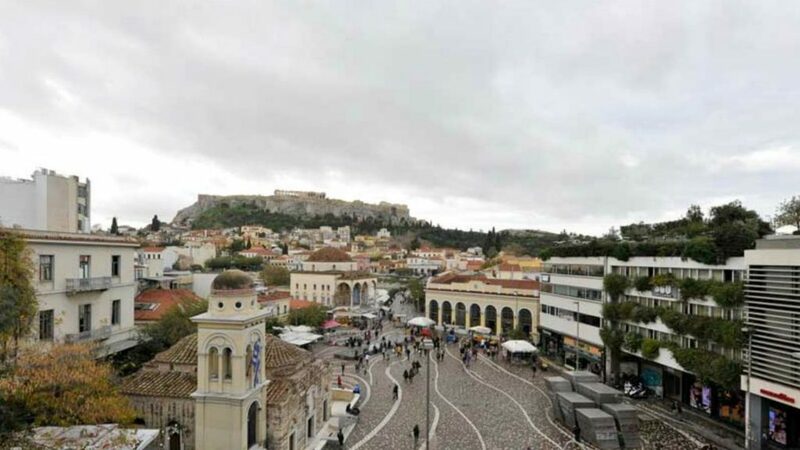 As a result, the boundaries of what we call the Historic Center of Athens have diffused. 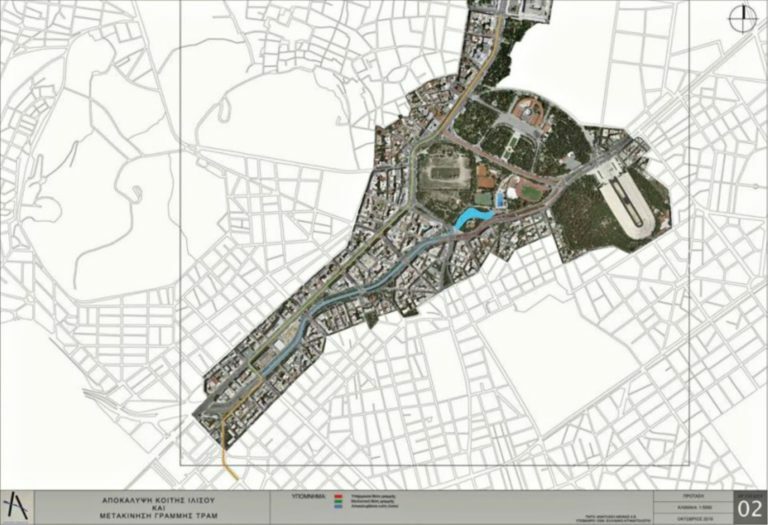 The Special Spatial Plan for the New Center of Athens is meant to redefine these boundaries to include neighbourhoods such as Koukaki and Technopolis, as well as to propose measures for the protection of areas under severe pressure, either tourist or commercial, and set rules and directives concerning development within them. The purpose is not to suppress or restrict tourism or commercial / business activities but to regulate and monitor them in order to protect residential areas and neighbourhood, historical sites and places deeply affected by what modern urban planning determines as gentrification. The CFA aims to explore each area’s growth potential and need for conservation and set the terms and directions of their long-term development. Athens Anaplasis S.A. launched an open architectural competition in February for the renewal of the capital’s centre, a project centered on the area bordered by Stadiou, Pireos and Ermou streets. The competition, financed by the Ministry of Infrastructure, Transport and Networks, has been designed in accordance with the current institutional framework and taking into account the ongoing projects undertaken by both the local and general government. Two more competitions are going to be announced within the next months, concerning the upgrade of Pireos Street and the restoration of the Lycabettus Hill theatre. Ilissos is an ancient river of Athens, now largely channeled underground, having been covered during the rapid urban development of Athens in the interwar period. A tram line is now built on top of it. Structural damage has been caused to the tunnel beneath the track, and in October the tram line was closed down. Athens Anaplasis has suggested that, instead of a costly reinforcement of the tunnel to repair the track, we should instead opt for a diversion of the tram line, so that the river can be uncovered. According to CEO Nikos Belavilas the idea, now a “firm plan”, includes the creation of a broad band of parkland on both banks of the newly-exposed river, running south from the Panathenaic Stadium – home of the revived 1896 Olympic Games – for 1.2 km (0.7 miles).